THE CONCEPT of improvisation in Medieval English music seems highly probable as, before the 15th Century, most musicians would have been illiterate. 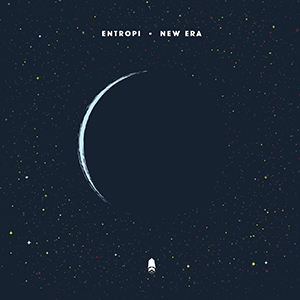 Sharing melodies and words aurally, the likelihood of invention and variation is quite imaginable – and, presumably, a talented, seasoned extemporiser of estampies and danses would have been highly prized. So, for pianist Alex Hutton, his vision to commemorate this year’s 800th anniversary of the signing of the Magna Carta, through a themed jazz suite, is entirely appropriate – especially as his dog-walking routine takes in the ancient woodlands around Runnymede and Wraysbury (near Windsor), where the charter was historically sealed. 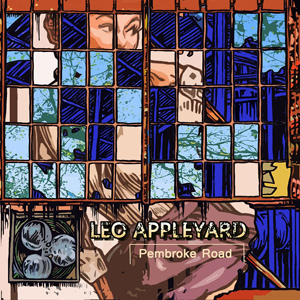 He recalls his outstanding colleagues from 2012 release Legentis – bassist Yuri Goloubev and drummer Asaf Sirkis – to create a programme of original piano trio music which takes in an English landscape of early music, traditional folk and classical music, with delicate woodwind flecks of baroque flute and cor anglais coruscating through leafy glades. Alex Hutton’s pictorialisations here can, indeed, be that vivid – his compositions, at times, easily comparable to the soundtracks of small- or big-screen period drama; and there’s even a whiff of Rick Wakeman’s Six Wives in the turbulent, chasing motif of The Barons. The Middle Ages context and sequencing can either be followed or disregarded; but the thematic writing, and the players’ eloquent interpretations of Hutton’s imaginings, are the strong threads which bind this recording together so well. Old Yew (significantly, under which the Magna Carta was believed to have been signed) opens the album with characteristic sinewy bass from Goloubev, almost as storyteller, leading to the brief, though exquisite, cor anglais melody of King John’s Hunting Lodge. June 15th 1215‘s impish Medieval motif has Hutton’s penny-whistle-suggested high piano frolicking with cor anglais over Sirkis’ hollow percussion (these all feel like scene-setting miniatures) before the pianist’s more recognisably extended ‘jazz trio’ tune, Gutenberg Press, is expanded on by Goloubev’s scampering improvisations. The tinderbox urgency of Gunpowder and Compass cleverly incorporates the consummate beauty of J S Bach’s Fugue in C Minor, with Hutton’s own, sparkling inventiveness shining above the fizzing impetus of Sirkis and Goloubev; and Self Made Man rapidly switches into sweet romanticism, Hutton’s ear for a lyrical melody followed through by Goloubev (a bassist whose dexterity always impresses). The intentionally bumbling rhythms and Sirkis’ clattering, sputtering exchanges of weaponry in Fog of War poignantly reflect the futility of conflict, replaced by a mournful, dejected reprise of King John’s Hunting Lodge; yet, standing defiant through the ages, Old Yew is again brought into focus with an air of resigned grandeur (Hutton’s musical imagery remaining powerful). 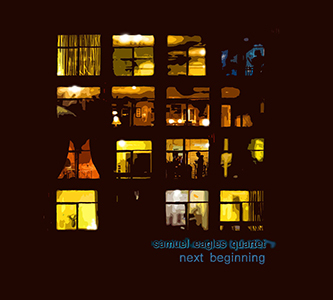 Almost as a postscript, the spoken word of Neil Sparkes illuminates, with drama and pathos, the final two tracks’ reminder of the charter’s values of liberty and fairness (the deep, echoic sonority perhaps a touch exaggerated). Nevertheless, Thoughts Bear Heirs to Memory hinges on the majestic delivery of Sparkes’ own lines such as, “as light for trees, justice needs great ideas to grow”; and concluding As Sunlight Passes rises triumphant, with baroque flute in anthemic character. 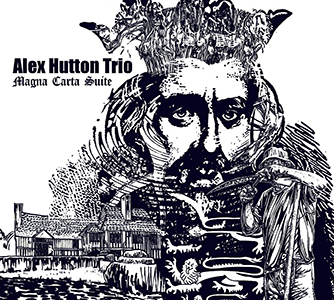 The Alex Hutton Trio’s Magna Carta Suite exudes a well-defined Englishness, its not-your-average-piano-trio accessibility fortified by the engaging historic weave. 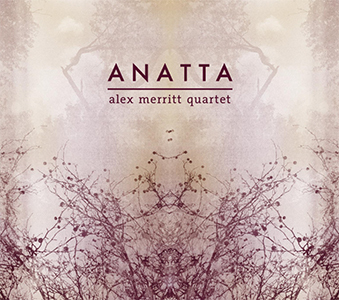 Released on 15 July 2015, the album is available from Alex’s website, as well as all good jazz and online retailers.